BIO: Nick is a former professional triathlete. He has competed in all distances from Super Sprint Draft Legal races to the Ironman. He has a top time of 1:50:54 in the Olympic distance triathlon and had a top 10 pro finish at Ironman Wisconsin. In his first season as a Pro he finished 9th overall in the race to the Toyota Cup Lifetime Fitness series. He also holds Illinois Masters swimming state records along with multiple top 10 all time performances. He has also qualified to compete in the Boston Marathon. Nick is the rare athlete and coach who competed and had success in all three disciplines of triathlon before taking up the sport. He completed his first Olympic distance triathlon in 2007 at the Chicago Triathlon were he won the 25-29 age group by over 5 minutes. He was a high school and collegiate All-American swimmer, an All-Conference and state qualifier in high school cross country, and was a founding member and vice-president of the Minnesota State University- Mankato Cycling team. He has over 17 years of coaching experience and has coached every age and ability from beginners to National level swimmers and Elite-Amateur triathletes. Nick is also a Husband and Father. He and his wife Dana welcomed their fist Child James on November 21st, 2014. BIO: Based out of SW/Central Florida, Josh competed in his first triathlon in 2009 and was instantly hooked. 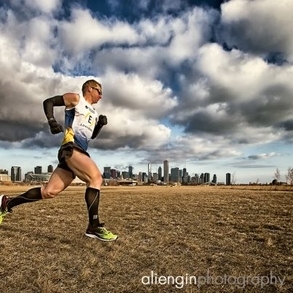 Through hard work and determination, he has developed into one of the top amateur triathletes in the country; With a top 5 over all finish at the prestigious St. Anthony's triathlon that boasts one of the top amateur fields in the country, 11th place finish at the ITU Age-Group World Championship in Chicago, a 70.3 World Championship Qualifier, and multiple over all wins at local regional races. When not training, Josh is a certified professional bike fitter and coach. He has coached the new and the veteran, Sprint to Ironman, podium seeker to the just want to "finisher"-ers. BIO: Dana grew up in Willowbrook, IL and began swimming at the age of 10. She swam and ran competitively at Hinsdale Central High School where she qualified for the state meet in the 3200m run. Upon graduating from the University of Iowa, Dana picked up long distance running and triathlons. 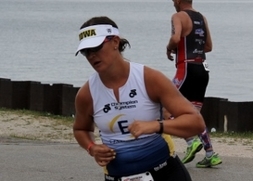 Since graduation in 2004, she’s a two-time Boston qualifier, two-time Ironman finisher, Age Group National Qualifier, 7 marathons and countless other races ranging from Sprint Triathlons to Half-Ironmans and Half-Marathons. She typically finishes in the top 15% of her age group. Dana enjoys helping other athletes and has gotten friends and family involved in triathlons and running events. Her primary background is swimming, running, and Triathlons. She is excited to use her knowledge and experience to help other athletes reach their goals. Dana is married to Nick Early and gave birth to her first son on Nov 21st 2014. They are expecting a daughter in October of 2017.